Cardio-oncology is a growing multi-disciplinary field that focuses on treating and preventing cardiovascular complications in cancer survivors and patients. This review summarizes the current clinical needs and system-based approaches to target barriers of care. The field of cardio-oncology has experienced significant growth in recent years, and an increasing number of programs have been developed across the nation to provide improved and multi-disciplinary care to this patient population. Despite this burgeoning growth, practitioners in the field continue to face important challenges which include lack of administrative and departmental support, funding limitations, and gaps in the areas of mentoring, education, and research. Despite continued growth, cardio-oncology providers continue to face a multitude of challenges. Early inclusion of multi-disciplinary stakeholders, oncologists, cardiovascular team members, and administrative leadership provides an opportunity to collaborate and achieve unique patient care and health system benefits, such as prevention of adverse cardiovascular outcomes, and facilitates the delivery of optimal oncologic treatment. American College of Cardiology. 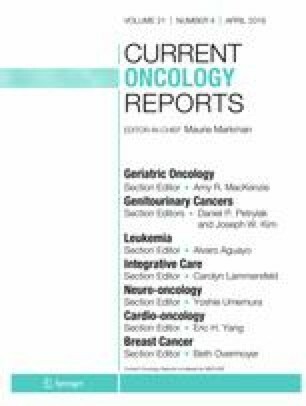 Advancing the Cardiovascular Care of the Oncology Patient [Available from: https://www.acc.org/education-and-meetings/meetings/meeting-items/2018/06/06/06/54/2019-cardio-oncology. Accessed 10 Dec 2018. United States Food and Drug Administration. FDA Public Workshop: cardiovascular toxicity assessment in oncology trials [Available from: https://www.fda.gov/drugs/newsevents/ucm513031.htm. Accessed 10 Dec 2018. United States Food and Drug Administration. FDA Public Workshop: assessment of cardiovascular toxicities in immuno-oncology trials [Available from: https://www.fda.gov/Drugs/NewsEvents/ucm574741.htm. Accessed 10 Dec 2018. NIH. Department of Health and Human Services [Available from: https://grants.nih.gov/grants/guide/pa-files/pa-16-035.html. Accessed 10 Dec 2018.